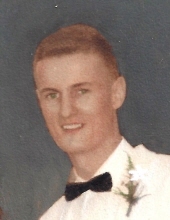 ABELY, MICHAEL C. (Retired Deputy Fire Chief, NFD) a lifelong resident of Norwood passed away on March 23, 2019 at the age of 83. Beloved husband of the late Arline B. (Blais) Abely. Devoted father of William M. Abely of Pawtucket, RI, Jerry J. Abely of Norwood, Theresa M. Carter of Taunton and Laura A. Wheeler of Norwood. Brother of Joe Abely of CT, Nancy Ross of Norwood, Mary Butler of SC, John Abely of Guatemala and the late Richard, David, Paul and Robert. Cherished grandfather of Ryan, Cecilia, Stephanie, Jake, Matthew and Sean. Also survived by many nieces and nephews. Funeral from the Kraw-Kornack Funeral Home 1248 Washington St. Norwood, Friday March 29, 2019 at 10am followed by a funeral mass at 11am at St. Catherine of Siena Church Norwood. Visiting hours will be held on Thursday, March 28, 2019 from 4-8pm. Burial will be at Highland Cemetery Norwood. US Army Korean War Veteran. To plant a tree in memory of Michael C. Abely, please visit our Tribute Store. "Email Address" would like to share the life celebration of Michael C. Abely. Click on the "link" to go to share a favorite memory or leave a condolence message for the family.